In his debut article for The Football Front, Rueben Lewis writes a personal account on his burning passion to watch football. 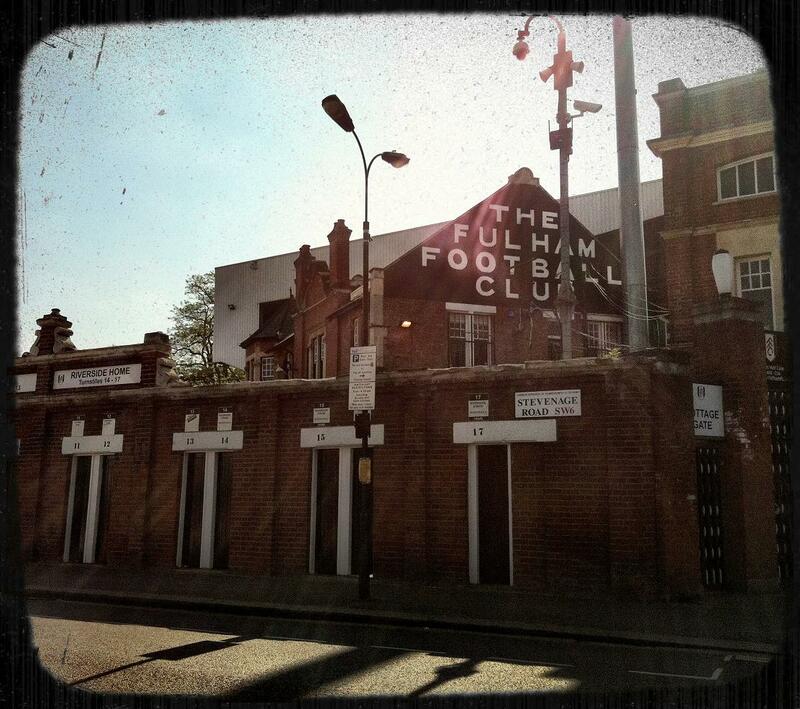 My first ever game was at Craven Cottage to see a then third division (now the equivalent of League 2) Fulham side. I'd be lying if I said I remember their opponents, no matter how glamorous a tie it was. By all accounts, I was more interested by the police horses I passed during the walk to the ground- however my love for the game would soon ignite. After my father explaining to me that the linesmen were not players, that is. Fulham - being my local team - was where most of my match -day experience lay in my early years. Incidentally, I even had a stint at their youth academy, from the age of 8 till 11! I was (and still am) a decent player- The David Bentley Bobby Pires-esq. playmaker, one might say. It was not until I was around 6 or 7 years old when my dad introduced me to Highbury-a ground which exuded a similar kind of charm to that of Craven Cottage, albeit superior in every single way. Again, I can't remember the opposition, but being slightly older, my new - found experience had led me to higher levels of footballing knowledge. So much so that I'd boo Edu whenever he'd come on/off the field, as that was what everyone else was doing. Turns out I got that one wrong. It was actually 'EDUUUUUU' that the crowd were chanting. To be fair, as a 9 year old, that could easily be perceived as a long jeering sound. Assonance and that. Peculiarly, one of my earliest memories of Highbury was Arsenal’s 4-2 loss to Charlton, in 2001. Jason Euell put them 4-1 up! Subsequently, I realised it's not always going to be a happy journey home. However my mind was well and truly swayed 3 years later after winning the double and simultaneously going 49 games unbeaten! 'I'm in for an easy ride if it stays like this!' I thought. I had the privilege to attend some of the most significant matches at Highbury, including the Champions League semi-final vs Villarreal-the ground's ultimate Champions League match-where Kolo Toure scored the only goal. Moreover, the last ever game graced by Highbury, against Wigan, really was a special day - albeit highly emotional for many. Only over the past few years have I realised just how lucky I was. In recent years - where my love for football has become somewhat unhealthy - attending at least one game a week has become the norm, whether it's Fulham, Arsenal or both. On the rare occasion I can't do either, Brentford offer some form of salvation. My last visit there was in the away end with the Exeter fans, with my mate who got a pair of free tickets. Coincidentally, Szczesny was in goal for the home team! There were about 300 travelling fans from the West Country-who brought with them some great banter. There is certainly a unique romance associated with lower league football, especially with the away fans. Whether it's The Arsenal, Fulham or even Brentford, my appetite for football will always be satisfied. As much as I adore Arsenal, sometimes going to games where you don't necessarily care about the result, such as at Fulham or Brentford, can supply a greater amount of pleasure and enjoyment, simply because there is less stress involved. There is never a shortage of football to either watch, play or attend-much to the bemusement of my mother-which keeps me, and many others, so immersed in the beautiful game.